"Common Reasons Why Business Continuity Plans Fail"
There can be number of reasons why Business Continuity Plan fails .Sometimes it is a combination of issues. So what are the common reasons stopping your business continuity plan from succeeding? As organizations are failing to implement the real-time business continuity plans, they need help in finding the reasons for the failure and being certain that it does not recur. 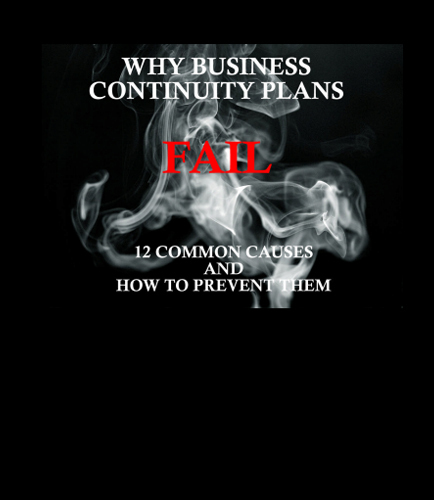 This whitepaper includes the top 12 reasons as to why business continuity plan fails, evaluate them against your current plans and make adjustments accordingly and prevent your business continuity plan from failure. What is the subset of disaster recovery planning? How to prevent derailing your business continuity plans from communication issues? What top enterprises are doing to get benefit from business continuity plans and avoid its failure? What are the actions you can take to prevent the causes of business continuity plans failure?